Nicole Scherzinger showed a little skin in a cut-out red and white minidress alongside her fellow X Factor judges to mark the start of Boot Camp in London today. We’re used to hearing about The X Factor Boot Camp as the start of the style wars between Nicole and Tulisa, Tulisa and Cheryl, Cheryl and Dannii but this year, there was no contest for Nicole who outshone Sharon, Louis and Gary in high heels and slick high bun. Sharon, who returns this year after a five year break from the show, dressed down in a black coat, white T-shirt with her signature fiery red hair complementing Nicole‘s short zip-front skirt. This year’s boot camp returns to London this year, ending speculation that this stage of the competition would take place on Simon Cowell’s Miami yacht to add a little ‘glamour’ to the show. 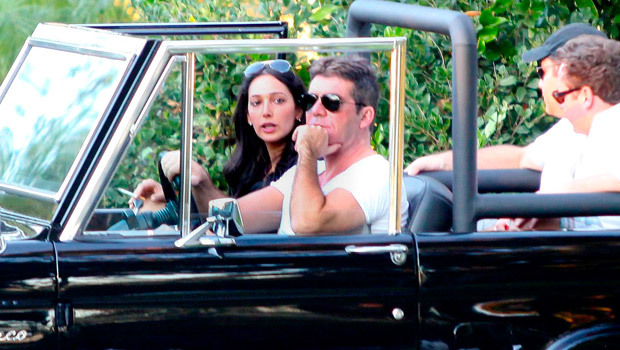 Obviously, Simon Cowell has other things on his mind and has cancelled their visit following the news that he’s now expecting a baby with lover Sarah Silverman. Bootcamp commences today, just as Charlotte Church reveals that she turned down an offer to judge the show this year, but we can’t help but think we might miss the style wars that keep us tuning in to The X Factor every week. What will make you watch The X Factor this year? Let us know in the comments box below.